Amatara Phuket has assumed management of newly named Amatara Resort & Wellness, formerly Regent Phuket Cape Panwa today. 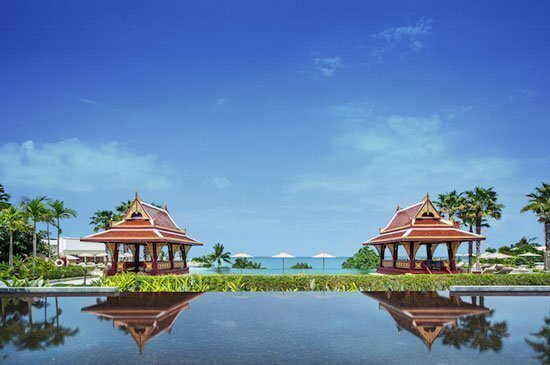 Amatara Resort & Wellness has assumed management of newly named Amatara Resort & Wellness, formerly Regent Phuket Cape Panwa today. Located at Cape Panwa, on the southeastern tip of Phuket Island, the resort is 15 minutes away from Phuket Town and just 45 minutes from Phuket International Airport. Amatara Resort & Wellness features 105 rooms and suites, each with its own private balcony and sea view. The Premier Sea View rooms, Pavilions and Suites set new standards in comfort and design. The ultimate Pool Villas feature their own private pool, guaranteeing unforgettable luxury and privacy. The lush resort also offers the finest gourmet cuisines in the resort’s six food and beverage outlets. With the 2000-sqm Amatara Spa overlooking the endless seascape, and open to the ocean breezes, the resort is the first and only luxury destination resort spa in Phuket. “Our seclusion in this beautiful location, and the holistic programmes that we offer for promoting good health and wellbeing, allow our guests to live life well and maintain their healthy lifestyles even when they are away from home,” says Brice Borin, the resort’s general manager. “In the coming months, our spa facilities will be extended to include the world’s first Thai Hamam, a combination of Thai and Turkish Hamam treatments, with a Salt Relaxation Room for asthma and allergies, and Rhassoul Clay treatments for improving the health and vitality of the body and skin.